Debuted in June of 2010, the Norwegian Epic is one of the largest cruise ships on the sea today. It has a passenger capacity of 4,100 (double occupancy) and weighs in at 155,873 tons. The ship is 1,081 feet long, has 19 decks and a crew of 1,753. It has been said that the Norwegian Epic offers the best entertainment at sea; I have to agree. 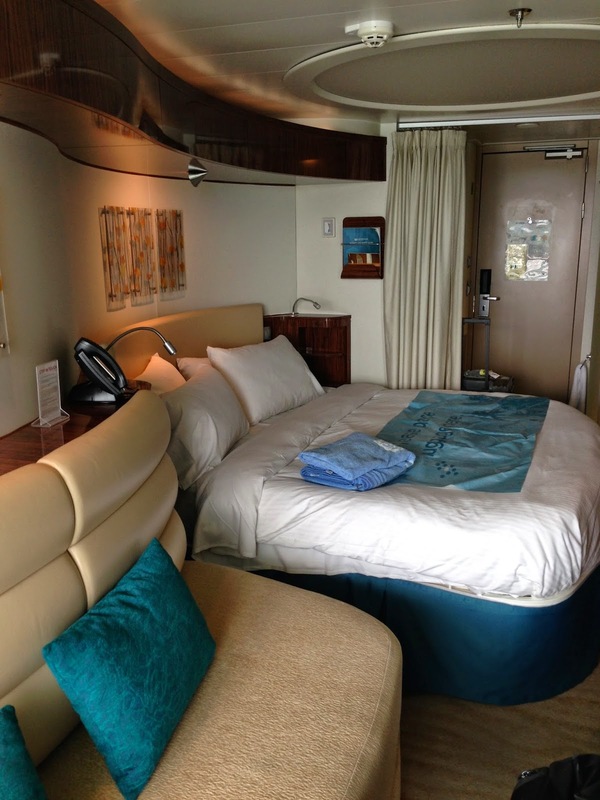 There was never a dull moment on our 7 day cruise on board the Epic. We saw several shows in the Epic theatre’s 681 seat auditorium including the Blue Man Show, Legends In Concert, and Nadeen Queen of Hypnosis show. Having seen the Blue Man Show in Las Vegas, Nevada, I will say that the show on board the Epic is very similar, although on a smaller scale. We found the Legends In Concert show to be very entertaining, and a little cheesy, but in a good way. We saw Elvis, Katy Perry, and Steven Tyler perform their hits. We had a great time watching ship guests (including my wife!) get hypnotized by a Nadeen: Queen of Hypnosis, a professional Hypnotist live and on stage. We enjoyed the Cirque Dreams & Dinner show. We found it very entertaining, and I would definitely recommend paying for the premium tickets, as you get to view the show from the balcony level. We also enjoyed the Second City comedy show with live and improvised acts. Blue Man Show, a mix of comedy, music, and flying paint. Fitness Center, a decently equipped gym with lots of ellipticals, treadmills, bicycles, free weights, and weight machines. We made an effort to go to the gym almost every day of our cruise! It definitely made us feel less guilty about eating so much. Tip: Try to plan and book the shows that you would like to see in advance. Reserved seating can fill up quickly, especially for highly desired showtimes. I would also recommend lining up for the shows at least 30 to 45 minutes prior to showtime to secure seats with a great view. I can guarantee that you won’t leave the Norwegian Epic unfed. There are tons of options when it comes to dining on the ship. There are paid and unpaid restaurants, as well as room service. There is enough variety to satisfy any appetite. We found all of the free and paid food options to be tasty and high quality. We don’t normally eat dessert, but definitely found ourselves sampling the dessert menu daily. I have to admit, we never got a chance to try any breakfast at the restaurants, as we enjoyed fresh fruit, cereal, coffee, and pastries delivered to our room every morning. Nothing beats breakfast in bed while on vacation! Since we had $100 onboard ship credit, we used all of it towards paid dining. We choose to eat at the Teppanyaki grill and Cagney’s Steakhouse. We found the Teppanyaki grill to be average since our chef kept making mistakes during the dinner / show. Your results may vary, as it seemed like the tables next to ours were very much enjoying their dinner experience. Cagney’s offered delicious steaks and seafood, like what you would find at a higher end steakhouse. I found my medium rare filet cooked to perfection. The truffle fries and wagyu sliders were tasty starters. Tip: Try to reserve the dining options as far in advance as possible, since it makes getting seated so much easier. Popular restaurant reservations book up early. If you don’t want to wait long to be seated, make your dining reservations as early as possible - even before the ship leaves port! O-Sheehan’s Bar & Grill, serves Irish style bar and comfort food. We loved the chicken wings, fish n’ chips, and ribs. Don't miss out on all you can eat lobster tail night! Tip: Dining menus change daily, so be sure to find out what the specials are at the restaurants in advance. For example, one night we had all you can eat lobster tails at the Garden Cafe for their seafood themed buffet. You don’t want to miss all you can eat lobster night! We found the ship layout to be pretty straightforward and easy to navigate. Most of the dining options and entertainment options were clumped together on the 6th and 7th decks. Tip: We made a pact to never be lazy and take any of the ship’s elevators. You can get a great workout walking up and down the 10 flights of accessible stairways. We found our balcony room to be very cozy and comfortable. The curved walls provided an elegant and relaxing design. Two chairs outside allowed us to watch the ocean and feel the breeze in our own private area. When entering the room, you have a shower on one side and a toilet booth on the other side. There is curtain you can pull across the room for privacy. One member of our party went solo, and we found the solo area to very hip and fresh. The lighting in the singles area changes on its own, and gives the area a fun and futuristic feel. Inside the singles cabin, passengers can adjust the color of their indoor lighting to match their mood. Solo travelers also get their own singles lounge that has a bar and lounge area. There are singles meet up events, which our friend attended and made a lot of new friends! Tip: You are allowed to bring 1 case of bottled water on board the ship. There is a charge for soda, alcohol, and fresh squeezed fruit juice. There is no charge for water, ice tea, milk, coffee, tea and various juices. There was a $12 per person, per day service charge added to our bill. This is standard for any guest over 3 years old. We received excellent service during our stay. Our room was always clean, room service always came promptly on time, and all of our needs were met. 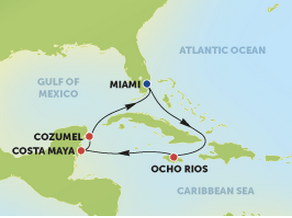 We had a fun and event filled cruise with 3 stops: Ochos Rios, Jamaica, Costa Maya, Mexico, and Cozumel, Mexico. I’ll describe our experience at those locations in a future post. All in all, we had a great experience cruising on the Norwegian Epic. We are already thinking about going on another cruise in the future!